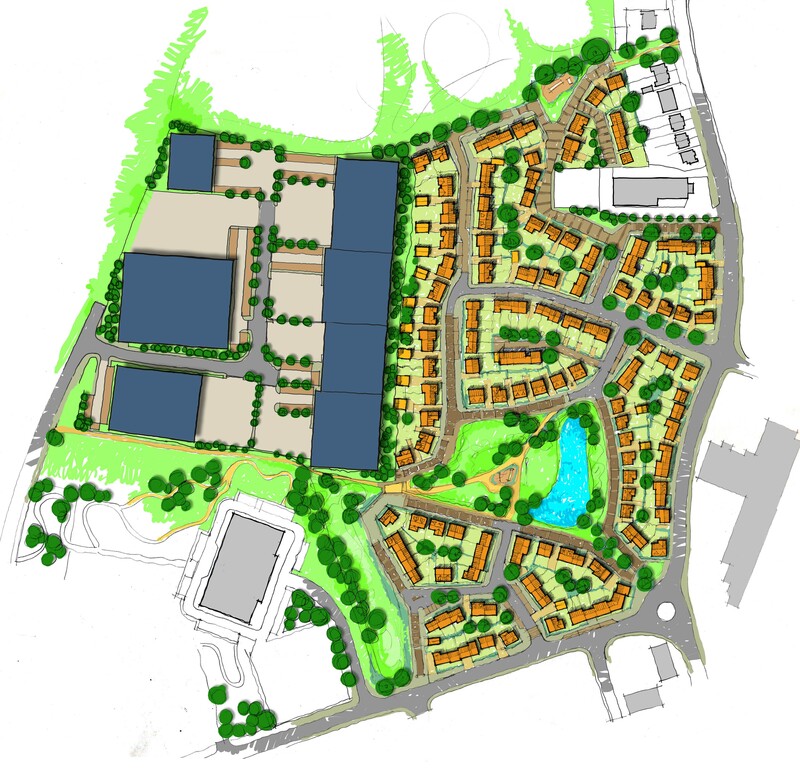 URBED were commissioned by Gibfiled Park Group Ltd to produce a mixed use masterplan for a 4.5ha site in Wigan, Greater Manchester. A multidisciplinary team led by ARUPs developed a masterplan for the site that included residential dwellings and B2 industrial buildings. The site required a level of remediation so a full Environmental Impact Assessment was undertaken prior being submitted for planning. URBED were responsible for producing the masterplan, parameter plans and the landscape and visual impact assessment elements of the EIA. The development was submitted for outline planning in spring of 2011 and subject to further procedures work is anticipated to start on the site in 2013.